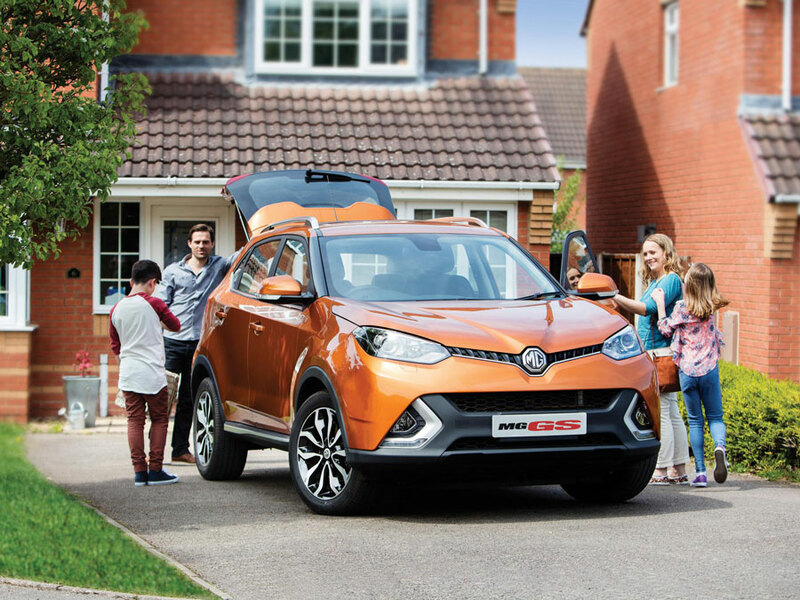 The MG GS, which has been designed and engineered in Longbridge, Birmingham, has been developed to make it drive and handle like an MG should. The chassis has been tuned to deliver agility and great handling, making the driver feel confident when they take on the most challenging of roads. This entry level model certainly isn’t short on specification. The price tag of £14,995 doesn’t mean the customer will lose out on life’s little luxuries, such as cruise control, automatic headlamps and air conditioning. This car is extremely affordable, whilst still being equipped to tackle everyday adventures. The ‘Excite’ should do just that, particularly when customers get even more toys for their money. As well as what the ‘Explore’ offers, this trim level has DAB radio, Bluetooth connectivity and rear parking sensors. All of that for £17,495? We said it would excite! Step up to the top of the range and the best of the specification. The ‘Exclusive’ is available with a choice of transmissions; 6-speed manual or MG’s first 7-speed DCT gearbox. Leather sports seats, that are electrically adjustable, and an iGO navigation system are great additions that allow the driver to relax and enjoy stress-free-driving. The manual is available at £19,495 and the DCT at £20,995. Click here to download the full specification datasheet. Head of Sales and Marketing for MG, said: “This is a great day for us, as we can finally share the information so many people have wanted to know. The MG GS is competitive in many ways and we are confident it will do well in the SUV market. “This car offers so much for comparatively little, making it the SUV to choose. The specification on these cars is phenomenal and when you add in the five year warranty it’s a no-brainer. There are some really great features as well, such as the adjustable rear seats that not only recline but fold completely flat making it adaptable for whatever the customer’s lifestyle.